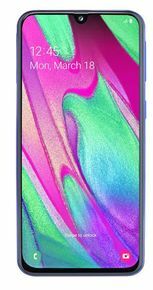 Samsung Galaxy A40 expected price in India is ₹17,990. The specification of Samsung Galaxy A40 is expected which is mentioned here. It might come with a bit different Spec.